UHWI Chief of Staff, Dr Carl Bruce, thanked SVL for the donation, stating that it would prove very beneficial in the thrust to reposition the hospital as a centre of excellence for care in cardiology. 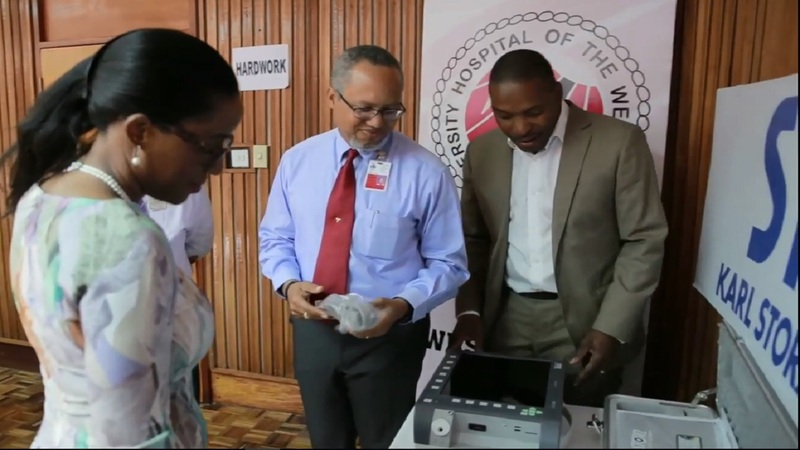 The University Hospital of the West Indies has acquired a portable echocardiogram machine, made possible through a $4 million donation from Supreme Ventures in October of last year. The Vivid Q machine brings to two, the number of Echocardiogram machines at the Hospital. It is the only portable machine at the facility. 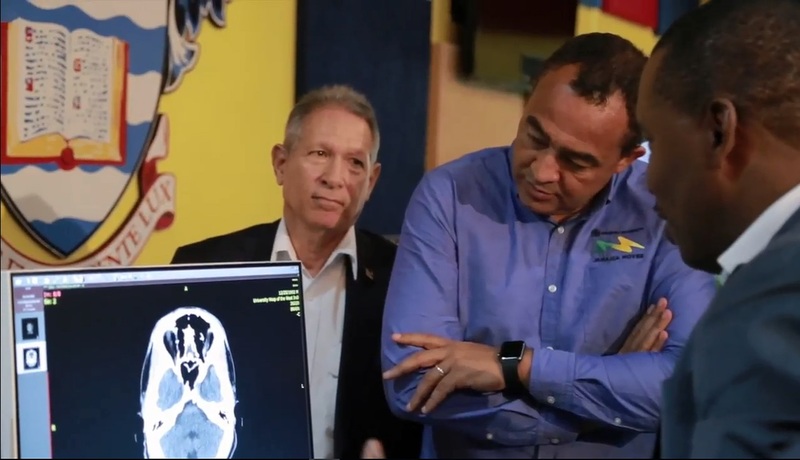 In calling the machine handover a ‘promise kept’, SVL President and CEO Ann-Dawn Young Sang stated this was another demonstration of SVL’s commitment to heath in Jamaica. Young Sang had made the original cheque donation in October of 2017, at that time advising that it was a follow-through on a promise made by former CEO of SVL, Brian George, who passed away from heart disease in October of 2016. UHWI Chief of Staff, Dr Carl Bruce, thanked SVL for the donation, stating that it would prove very beneficial in the thrust to reposition the hospital as a centre of excellence for care in cardiology. He added that the machine, which he referred to as the “Rolls Royce of Echocardiogram machines”, has helped doctors at the institution to provide care to the most vulnerable patients due to its portability and versatility. 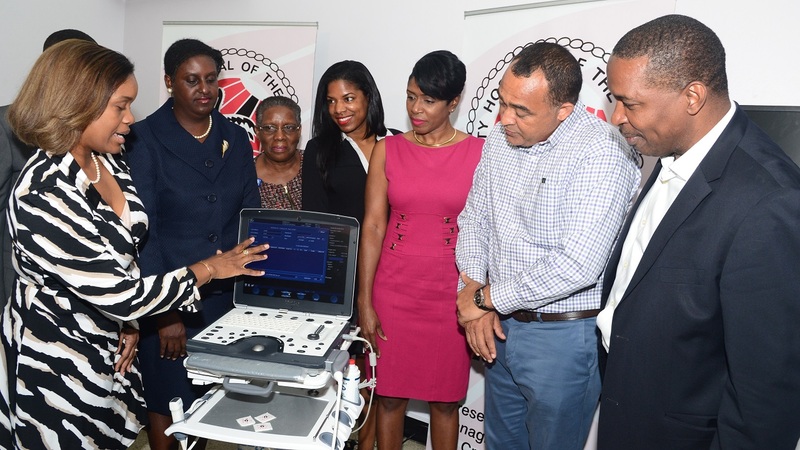 Dr Tufton noted that one third of deaths in Jamaica are cardio-vascular related, further noting that the portable echocardiogram machine would enhance the Hospital’s capacity to respond fundamentally to that challenge. 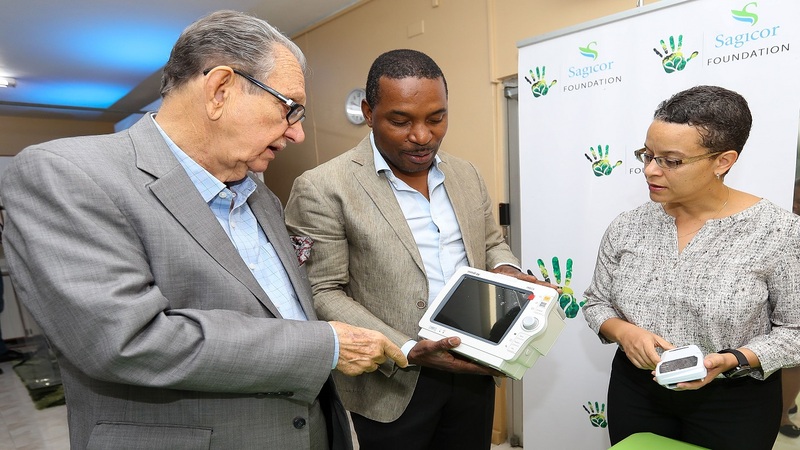 He thanked SVL for its donation, asserting that the machine would save and enhance the quality of lives in Jamaica.